Just came across this site that uses the Google Maps API to raise awareness about the environmental devastation currently happening in the Gulf of Mexico. If it looks familiar, that may be because it's the same technology that inserts the Level8 logo on the interactive map on the contact page of level8ds.com. It's inspiring to see somebody re-purpose the technology to help make a difference. Who Is Keeping IE6 Alive? After reflecting further on the importance of cross-browser testing, I began to think about who are the people behind the numbers. Who is adapting modern browsers, who isn't? Who's leaving their native Safari and Internet Explore browsers to use the now dominate FireFox (Mozilla)? 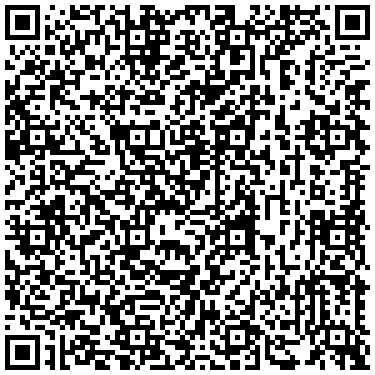 A Quick Response (QR) Code is a 2D matrix code developed in 1994 by the Japanese company Denso Wave for use with tracking parts in vehicle manufacturing. Today QR use has broadened it's scope to include end user marketing such as promotional campaigns and informative aids displayed on websites, posters, billboards, stickers and more. While currently prevalent in the Japanese market, there appears to be rising use in Singapore, Hong Kong, Korea, China, Australia, and Taiwan. Popularity, and even the knowledge of QR Code's existence has lacked in The United States and western Europe, however with the growing presence of smartphones in these markets there is hope in the marketing industry that in the coming years QR Codes could offer a new outlet for distributing information and channeling potential clients. Few things spoil my day more than cross-browser testing. The daunting expectations of designers to have their typographic nuances maintained across all browsers, and of course IE6 and it's propensity to act out more than a six year old in a toy store are just a couple reasons the task ergs me so. Beyond fixing the issues which inevitably arise through thorough testing, an equally formidable challenge must first be overcome. This of course is the challenge of creating an environment to test across all major browsers. This article via Smashing Magazine explores how the always evolving world of web design is, well... evolving. Web design incorporates so much more than simply aesthetics. A designer must understand communication, usability, functionality, technology and apply those to meet client goals. The article gives a good variety of examples that show how businesses are able to arrive at solutions that are memorable, easy to use, and accomplish their individual goals. Tthe Bounty Bev example demonstrates a growing trend for single page solutions. These are great for companies that might not have a ton of content (therefore don't need individual pages) but who still want a web presents for all of the benefits that the internet can provide.